Welcome to Day 3 of the Tropically Yours Stamp of Approval Blog Hop! You should have come from Jen's blog (full blog list below) and your next stop is Laurel. This kit is such an amazing one, and I have feeling it'll fly off the shelves in record time. 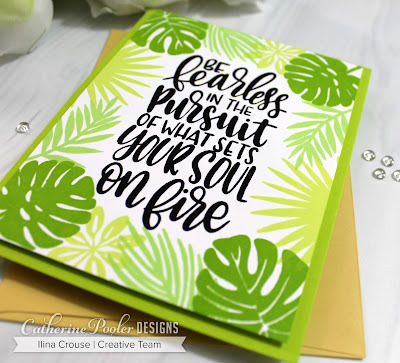 For my first set of cards I used the Cabana Tiles dies along with Fearless Pursuit and Stand Tall sets for the sentiments. Watch the video below to see how I made the quilted look on these cards. 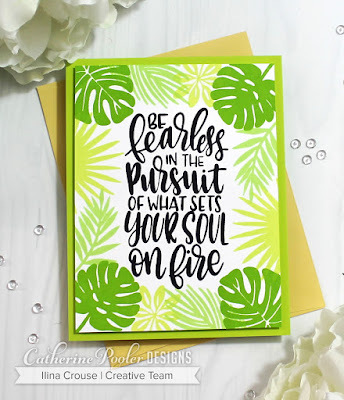 Next is a card on which I combined Fearless Pursuit and Leave me in paradise. I stamped border of leaves using Melon Ice, Lime Rickey and Grass Skirt, then stamped the sentiment in Midnight ink. Trimmed the panel to 4" x 5 1/4" and adhered to green card base. For my next card I used Good Vibes Borders and Tropically Yours set and dies. I stamped the pattern using one of the border dies and the following inks: Aquatini, Lime Rickey, Tiara and Coral Cabana (NEW COLOR). I stamped the hibiscus flower in coordinating colors and die cut. Stamped the sentiment on black card stock and embossed in white. Assembled the card. And last, but not the least, another colorful card. I created the background pattern using Leave me in Paradise and Tropically yours, using the same colors as the card above, only added Grape Crush to the mix. Stamped the sentiment from Fearless Pursuit onto black card stock and embossed in white. Assembled my card onto Black Note card. THREE commenters will be chosen at random from all the comments on all the blogs (one each day) to win the Stamp of Approval Collection! If the winner has already purchased their collection, they will receive a $100 gift certificate. The more blogs you comment on, the better your chance in winning! Your cards care fabulous! I cannot wait for this collection to be mine. Wow! Awesome cards!!! Stunning use of these new inks!!! WOAH! Was my first reaction Ilina! These cards are crazy gorgeous! Thankyou for the video too. What a fabulous idea! I'm curious how long it took you to place all those hexagon. The results are certainly stunning. 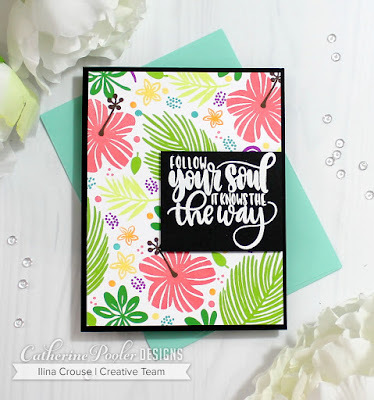 I think the CP inks lend themselves beautifully to this tropical SOA collection. Your cards are shining examples of just that! Oh my gosh, these cards are absolutely stunning and I love them all. All your cards are breathtaking, but my favorite is “Follow Your Soul”. This SOA has so many great sentiments. Wonderful cards, Ilinia. 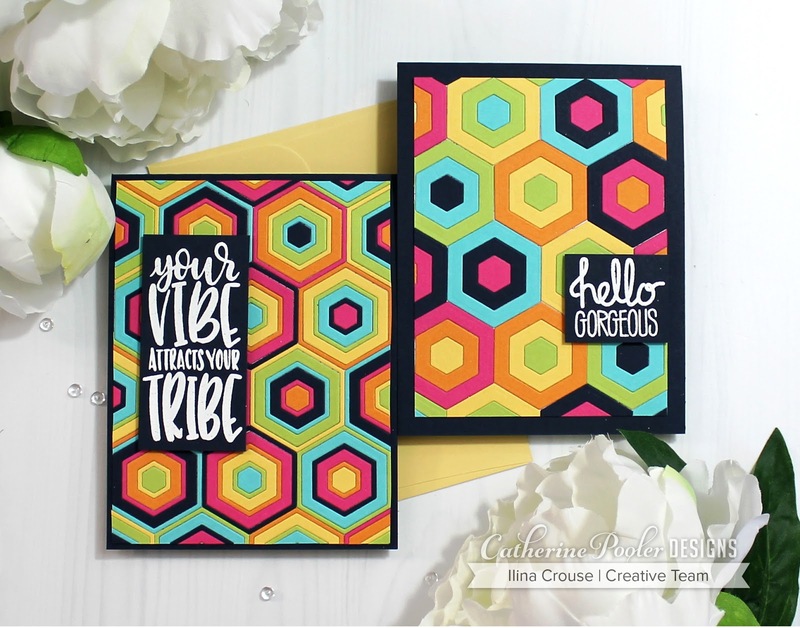 Love the retro vibe of your hexagon cards. Your cards are so happy and vibrant! They make smile! Beautiful work! Stunning cards! I have always wanted to make a Grandmother's Garden quilt but now I think I can just make this fantastic quilt card! 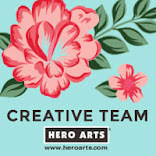 Your cards are beautiful - the colors are great and you are so creative. GREAT job. Your cards are amazing, especially the quilt set! Loved the video too! Thank you! All of your cards are amazing, especially the inlaid geometric card as well as final two cards ... so colorful and lovely! I love every one of these! The Cabana Tiles dies are so versatile, that's a cool card. Your cards are so bright and cheery!! Omg! Your rainbow quilt card is absolutely eye popping! I’m a big fan of your rainbow border card, too. I wanna run home and create both cards. Your use of the tile dies is great! It looks so complicated but you make it easy! I can't decide which of your other cards is my favorite; I like them all! Stunning cards, all of them! Thanks for the video showing the quilted card. So many vibrant colors! It would be a joy to receive any of these. Thanks so much for hopping. WOW!! What great cards! I like the way you create - it speaks to me! Thank you! Great cards. Fun to see all the different ways to use this collection. As I was scrolling down your blog I liked the examples more and more and more! They’re all fab- but at a push, if I had to pick a favourite, it would have to be the last one ........ I think! Absolutely fabulous cards. Love the cabana tiles. They are so versatile. The multicolor border you stamp gets a BIG WOOT WOOT. Wow! Every single card is absolutely stunning! Wowzers! Amazing cards! LOVE your backgrounds! design of the 'tropically yours' card. Fabulous cards! Wow! 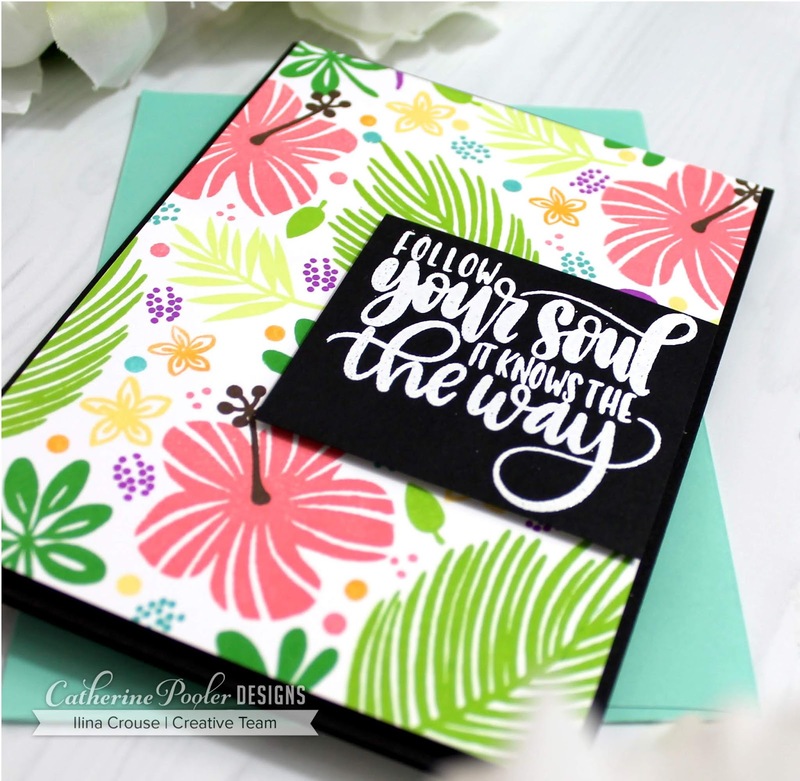 Your cards are gorgeous and love how you used the new inks, thanks for sharing and being apart of this Blog Hop. Really is grateful seeing a video on how you do your cards. Your cards are simply fantastic! 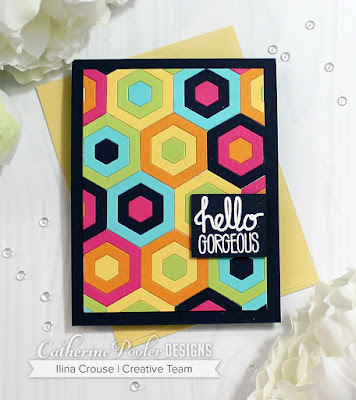 Color choices are superb and the hexagon card is full of creativeness! Holy cow! 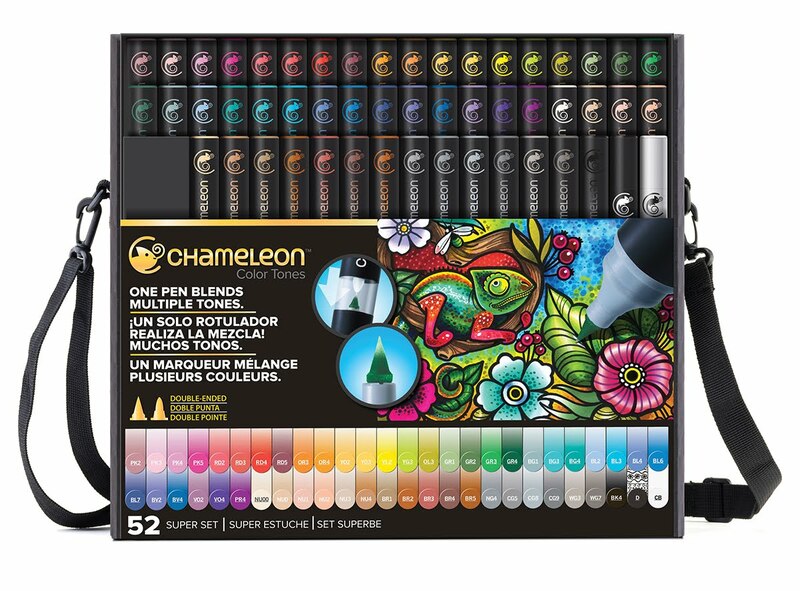 The color choices are incredible.. might need to take that as inspiration soon! Fantastic cards! I "dig" that retro 70's look on your first card. Gorgeous ideas. Love the quilting. Love ALL of your cards. Most definitely, I adore the quilting with the cabana dies. Very inspirational! Really loved the Cabana tile cards. Loved the colors! Great cards. Love the quilt card. 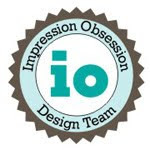 Did not know what I would do with the tile dies but this blog hop has shown how versatile they are. You have some awesome card designs. Thanks for the quilting tutorial. Great use for leftover paper. Beautiful cards! I do love the tile one, but it seems beyond both my patience and time limits. The others are wonderful and I am looking forward to recreating them. Thank you. The geo card seems therapeutic to put together. WOW! My absolute favorite so far. These are amazing! Oh my, holy Margaritaville! Incredible cards, Ilina! Absolutely LOVE the hexagonal ones with all those bright colors against the black. This is such an amazing collection! Gorgeous! Love the colors and geometrics. I love the last 2 colorful cards!! So pretty!! That paper quilt is amazing...beautiful! Every one of your cards is great. I love these tropical colors. Oh, my, goodness! So many cards and each one is so different! I can't pick a favorite. I quilt, so I love what you did with the geometrics. Beautiful cards!! Thanks for the tip on using grid paper to line up the tiles!! Your cards are all amazing! I love the quilted one the best. Oh my goodness all your cards are fabulous. Thanks for sharing. Wow! You knocked it out of the park with all of these. Thank you for the video. Beautiful cards. Love the quilt hexagons. So many possibilities. These cards are so absolutely fun, I can't wait to CASE them. I love, Love, LOVE your cards!!! Absolutely stunning. The quilted look of the Cabana Tiles would have been good enough but you really went to town with the other cards. I love CP inks and the mix of various greens is lovely. Wonderful job. These are positively awesome. So much color and so fun. Love the hexagons! That last card is my absolute favorite with this collection! 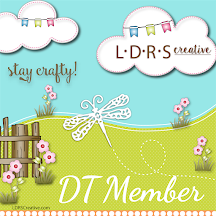 Love the colorful background you created! 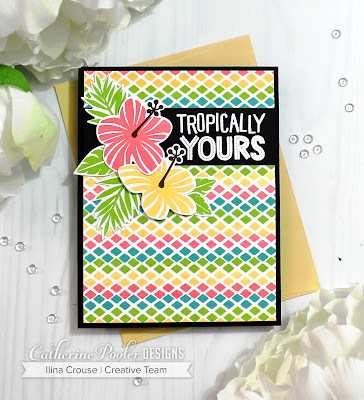 ABSOLUTELY....my favorite collection of card designs using the stamp sets of Tropically Yours SOA! Gorgeous colors on each and every card design! Love! Love! Love the quilted card! So bright and cheerful! GORGEOUS collection of cards! So many BEAUTIFUL bright colored ones! I can't decide which one I like best! They are all so AMAZING!!!! Your cards are pretty and so fun. Thanks for sharing your creativity. Gorgeous cards! I especially like the retro feel of the first card. All these cards are so fabulous but I love the quilted blocks. Amazing! I can't wait to get this collection. 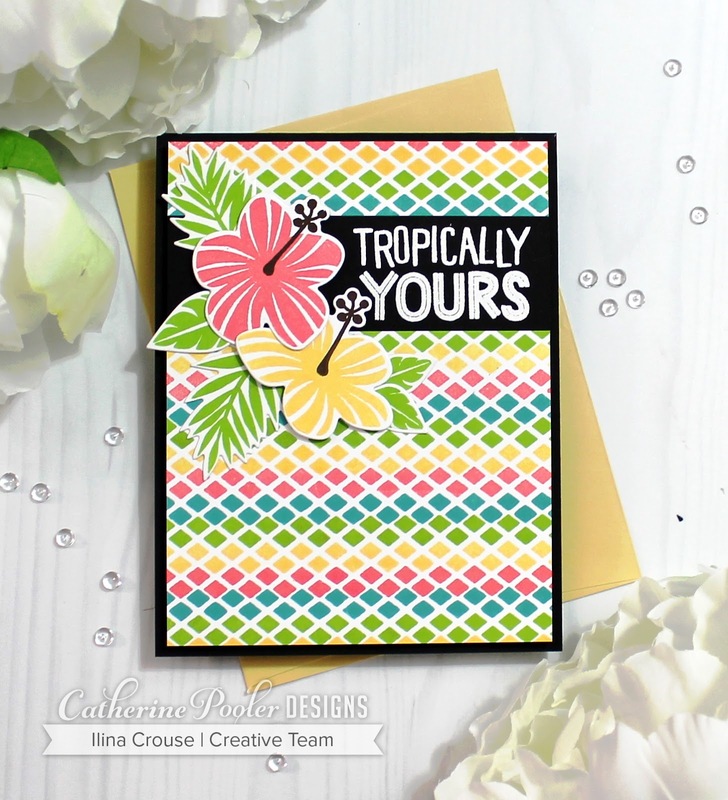 Love the pattern background you created with the tropically yours sentiment. Such wonderful, colorful cards! I can't pick a favorite...I love 'em all!! Oh wow, beautiful creations! Your colors are absolutely stunning!! Thanks for sharing with us. I love your cards. Each is unique. Made each saying and images pop. 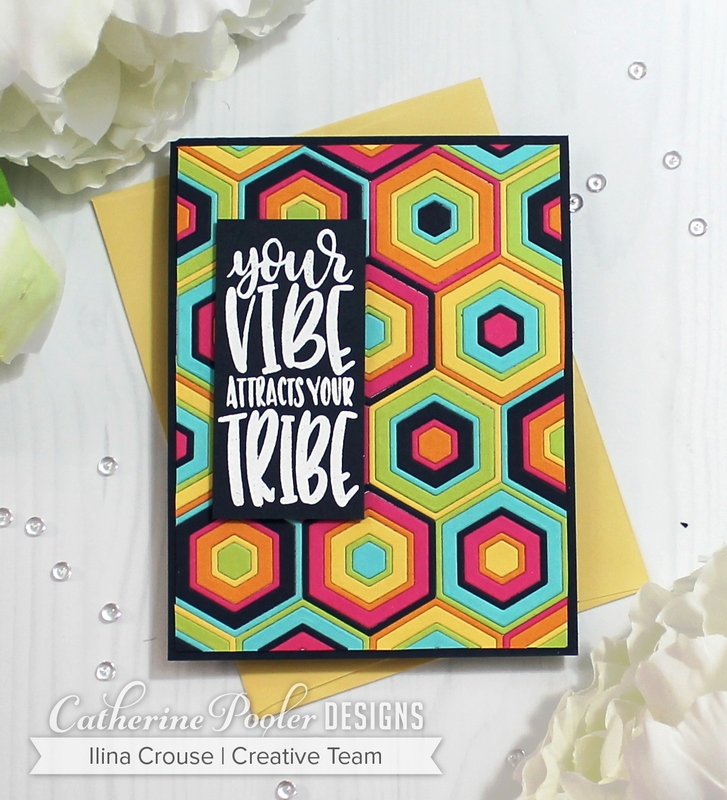 Gorgeous cards, Ilina! Love your creativity and color choices; beautiful! Such wonderful use of these bright fun colors! Wow! Your cards are amazing! I love how colorful they are! Oh. My. GOODNESS! Your cards are AMAZING!!! These cards are OUTSTANDING!! Your style is so inspiring. These are all such beautiful cards and beautiful colors. The tiles card is really clever...kinda looks hard although you made it look easy. more great cards. Love that you included the video showing using the grid paper to line things up. Great idea--and I've never seen it done before. Great tip. Wow! Just wow all of these are Amazing! Oh so fabulous! All of your cards are amazing but I am just in love with the funky retro feel of the first two bright and graphic cards. Wow!! Such beautiful and colorful cards! I’m definitely inspired!! Wow, your cards are amazing. I am loving the new ink color. Absolutely fabulous cards, the cabana tiles card is so inventive! 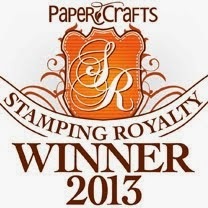 And I love the others, especially since they showcase the stamps alone without the dies! I love the retro feel of your first card! Seriously cool. Wow...really great cards! Look like you put a lot of time into creating them. Worth it! Great cards and video on paper quilting! Love how you did the card with the border dies! loved the 2nd one, only stamping but big impact. Gorgeous cards. And such creative ideas. 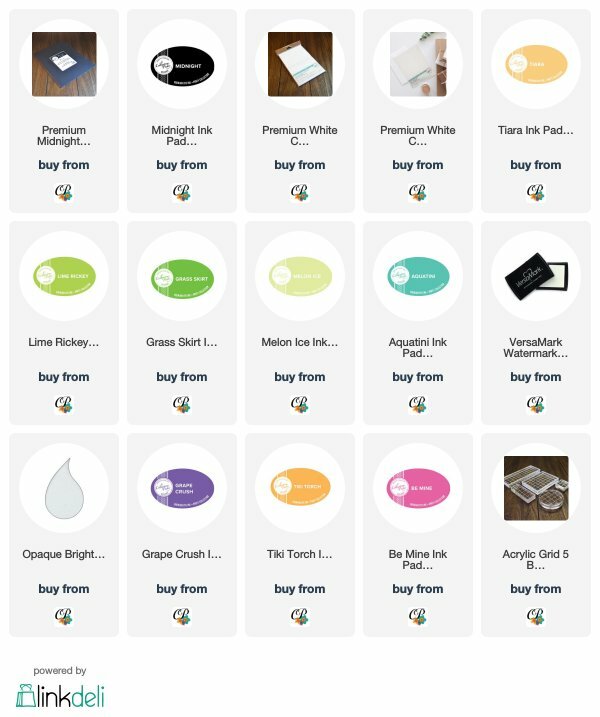 I always say I have enough stamps & dies & then I see the first product release. Oh well. What's enough anyway. Love the new collection. 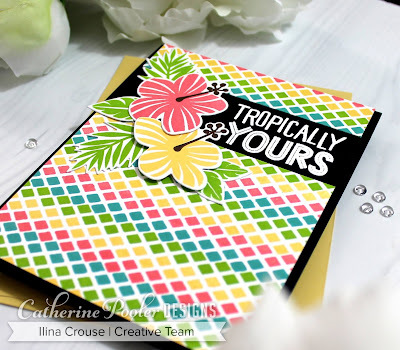 My favorite stamp set is Tropically yours with the borders a close second. Those dies are pretty cool also. 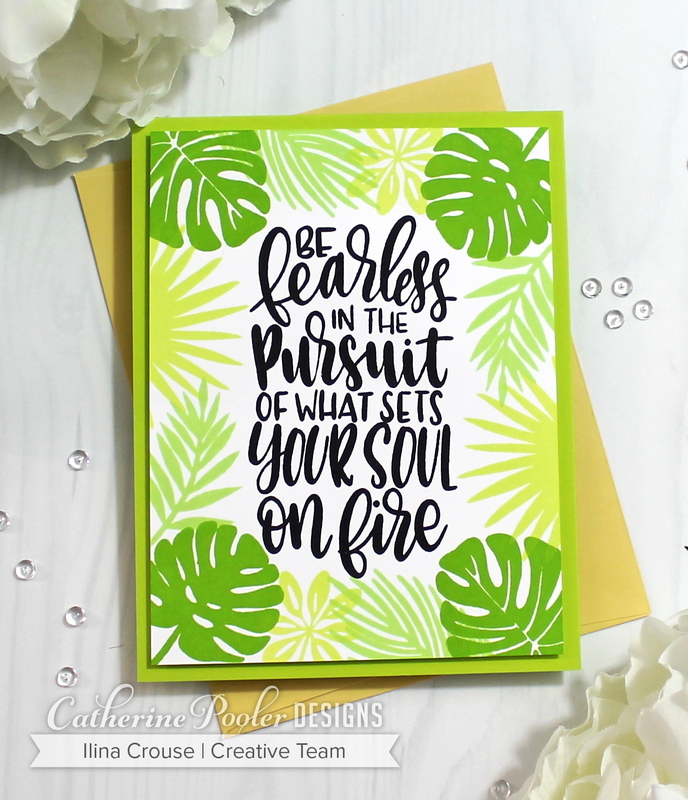 I just love the way you stamped around the edges of that Fearless Pursuit card design for a lush tropical look! Just gorgeous!! Your set of cards is so beautiful, with a great variety of designs. I just love them all and could not pick a favourite. WOW< WOW< WOW! I just love your designs. Loved the first card, it just popped out at me - thought that was my fav, moved down to the second card...oh my, love all that green....got to the third card - OH Gosh, this could be my fav...then fourth card appeared, oh those blooms...so, yup...can't decide...so going with them being all my fav!! This is a fabulous SOA! Awesome cards! Such fun ways to use these stamps and dies. Fabulous cards. Those cabana tiles truly intimidate me,though! Stunning! 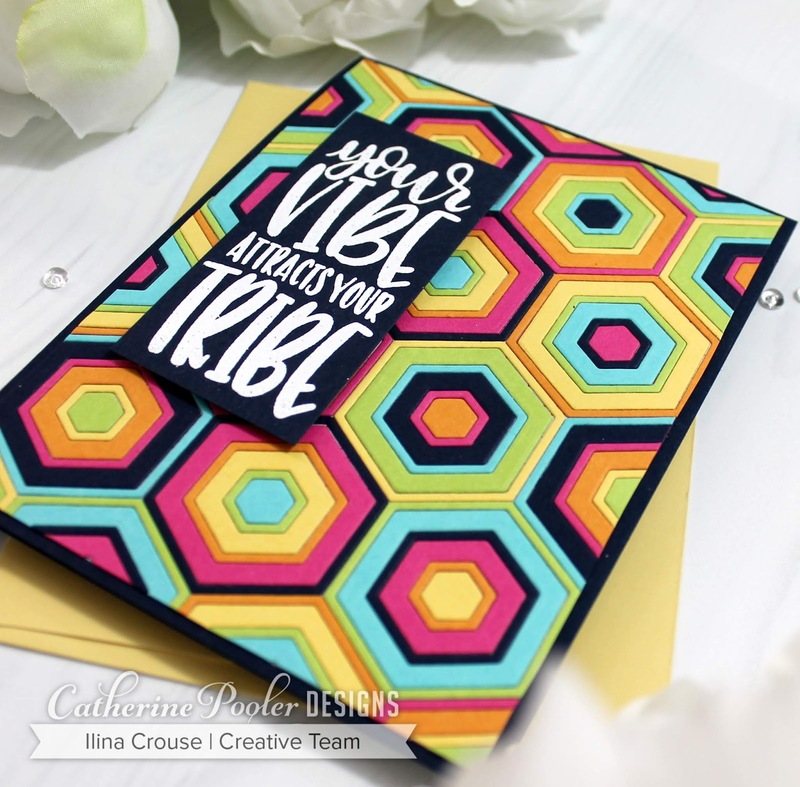 Thanks for sharing how you created the quilted card. The border stamp used to create the background is lovely. I really enjoyed your creations. Wow your cards are over the top fabulous. Love the color! Gorgeous cards! So bright and cheerful. This box looks like a lot of fun and I love your graphic cards Illina!!! Such beautiful and colourful projects shared today. Love the versatility of the border stamps and the fab leaves. Thanks for sharing your creativity. My mouth dropped open when I saw your cards! The cabana tiles are magnificent! Stunning collection of cards! Those colourful tile cards are amazing!!!! Gorgeous cards! Too hard to pick a favorite...they are all perfect! I loooooove those cabana tiles. You've done another awesome job. The hexagons are beautiful with all the different sizes. The border stamping and stamping and stamping are my faves. That's for sharing. Fantastic cards! The bright colored tile is amazing. I love all of the cards you showcased! Love the colors with the leaves and the octagons for the background! Love the bold positive phrase too. Fabulous cards! I love the colours on the first card, such a great design, and the vibrant greens on the tropical leaves! Beautiful cards and gorgeous colors!!! Ilina, each card is more beautiful than the last... I love the one with the repeated border stamp, but my heart melted over your quilted hexagons. I've tried doing the same pattern with fabric--much more difficult! I can't wait to try this with my SOA. Thanks for the inspiration! 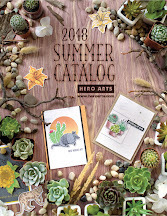 Beautiful cards, but my favorite is the paper quilting card with the cabana tile dies. Thanks so much for the video! Awesome and vibrant!!! Awesome cards! I really love the way you used the dies in the first card! Oh my goodness, your cards are just amazing! So colorful and fun! As always, your cards are so inspirational. But, in particular, the Cabana Tile card; WOW. It took me back to the 70's. I think I had a shirt that looked just like that. Your card made me smile out loud. Your other cards are beautiful as well. Thank you for making my day!! Fabulous cards. Love the Cabana Tiles Dies. My favorite is the tone on tone green card. The new colors are so cool. Great idea though just useing the same color family.